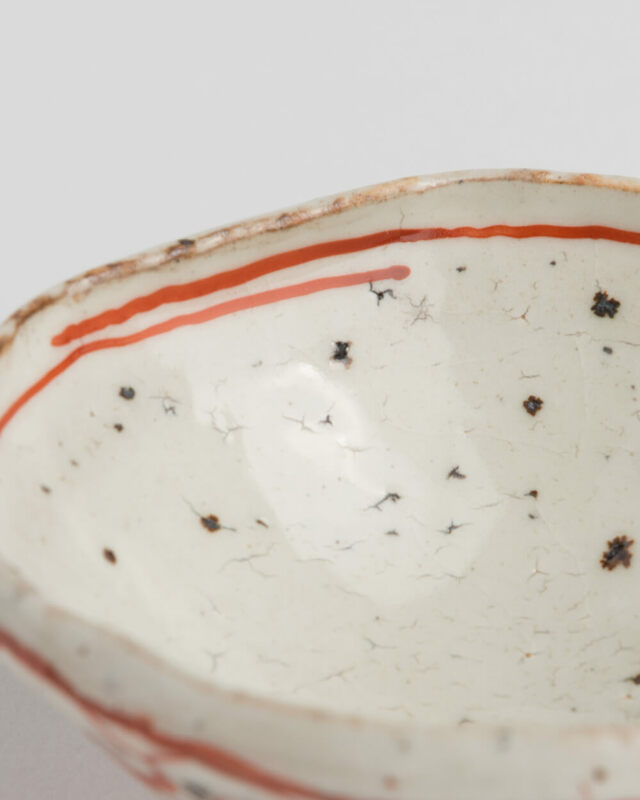 Banreki Akae is the painting method for porceline originated in Jingdezhen City during Chinese Min Dinasty, Vivid red colour on rather nutral earthenware sirface makes it really appealing. 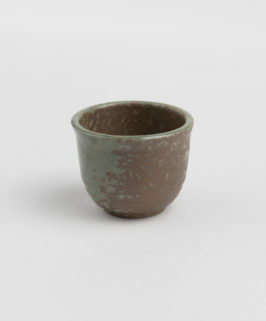 This is hand-made Guinomi, its shape is very natural with soft curved shape. 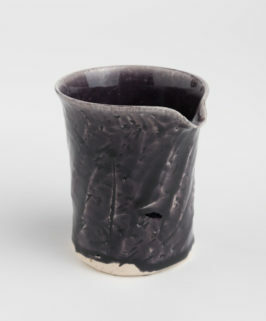 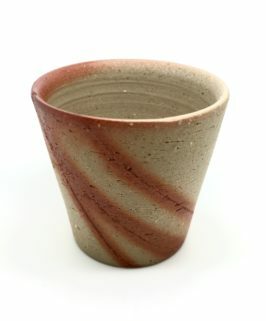 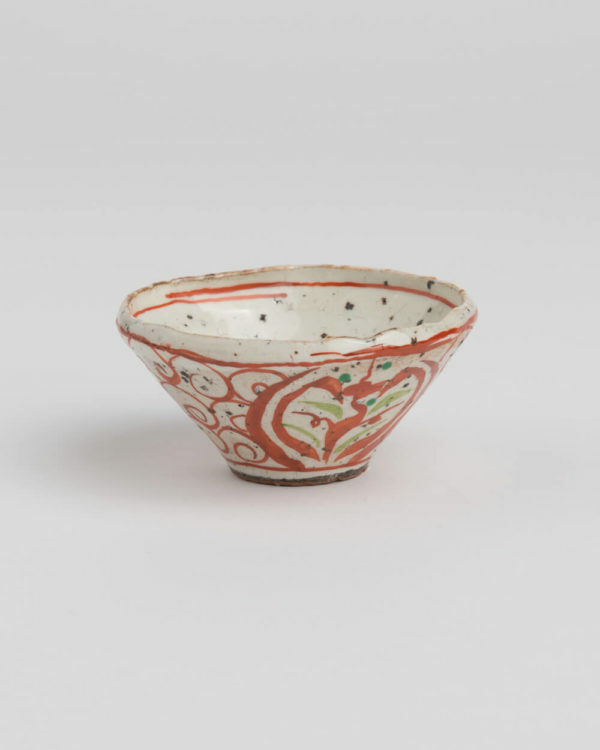 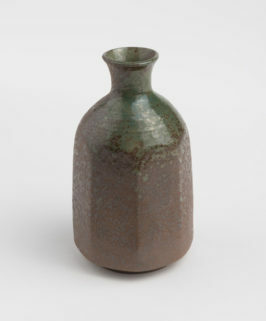 Its shape is rather flat almost like Sakazuki, but enough depth there for you to casually enjoy sipping sake from it.